Her real name is Sydney Bennett, which sounds more like a janitor than a pop star. 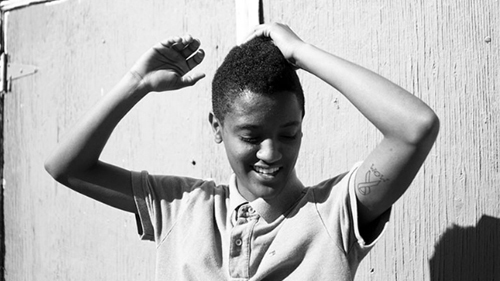 You might know her as "Syd Tha Kyd" - singer in Grammy-nominated neo-soul band The Internet. Her uncle co-wrote Shabba Ranks' Mr Loverman. She built a recording studio in her bedroom at the age of 14. Syd publicly came out in the video for Cocaine. She once shared potentially libellous views on Alicia Keys' sexuality with LA Weekly. Her solo material is fantastic. Syd told Zane Lowe she wants Body to be the "baby-making anthem of 2017"
If you like Drake, Tinashe and Lana Del Rey, you'll like this.